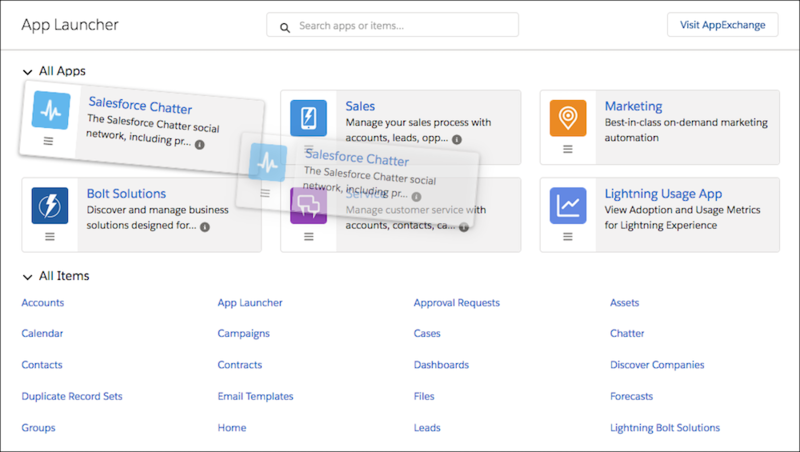 Let’s take a look at some of the basic navigation features in Salesforce, starting with the navigation bar. Think of the navigation bar as a container for a set of items and functionality. It’s always there, but the items within it change to represent the app you’re using. The app name displays on the left side of the navigation bar (1), and custom colors and branding (2) make each app unique and easy to identify. You can access other items and apps by clicking the App Launcher icon (3) or the app name. You can create records and access recent records and lists directly from the navigation bar (4) for certain items like Opportunities. 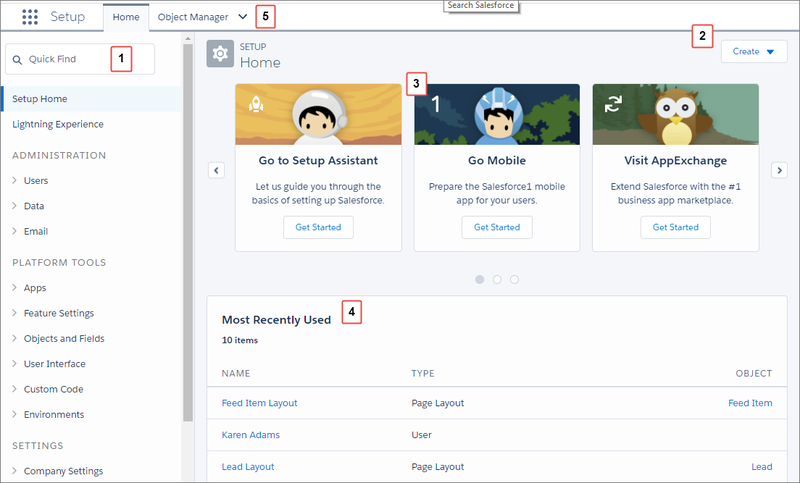 Admins can create custom apps for various types of users, so you can go to the places you use most often with a single click. You and your users can personalize an app’s navigation bar to suit the unique way you work. 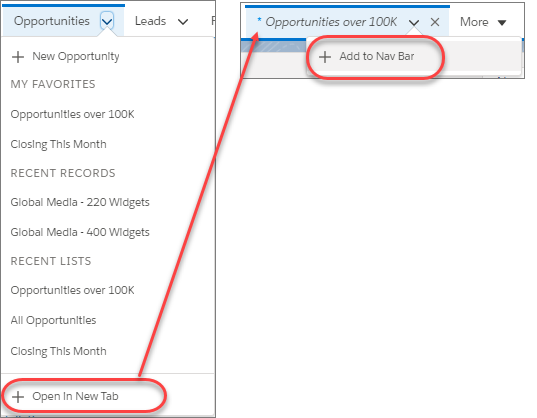 If you're viewing a page, such as a list or dashboard, and want to add it to the navigation bar, open the item and select Open in New Tab from the dropdown menu. Then select Add to Nav Bar from the dropdown menu on the newly opened tab. Now it’s a permanent part of the navigation bar. If you want to simply reorder tabs, drag the items around the navigation bar. If you want to make more changes, click the pencil icon on the navigation bar. Add items to the navigation bar. Click Add More Items and choose what to add. After you make your selections, you can reorder or remove items before saving your changes. You can’t delete items that your admin has specified for the app. Let’s set sail on a quick navigation tour to see how you and your users can drill into a standard or custom object from the navigation bar. Just click on the item (for example, Opportunities) to view the item home screen. If you don’t see the item you’re looking for in the navigation bar, or if you want to open a different app, click the App Launcher icon. As an admin, you can change which apps appear on the App Launcher and the default order in which they appear. You and your users can then drag the tiles around to create your own personal view of the App Launcher. The App Launcher’s great for finding an app or item even when it’s not on the navigation bar. Just click the App Launcher icon ( ) to search for it by name. For example, say you’re looking for an item called Service. 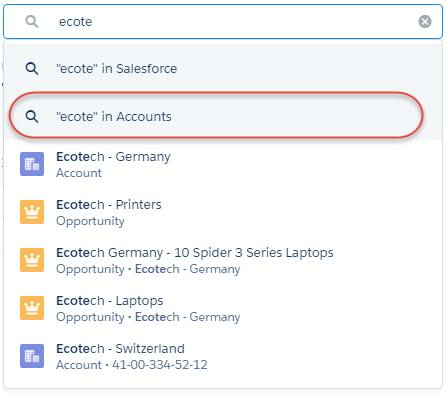 Enter Service in the search box to see items and apps that match your search as you type. Setup is where you make the magic happen. It’s where you’ll customize and configure your org, support users, build functionality, and more. As you’re getting familiar with the Setup area, it’s important to note that it’s not about memorizing click paths, it’s about understanding what you're looking for in order to get to your destination. You can navigate to Setup from any page by clicking | Setup Home. Quick Find in Setup (1) is your power tool for getting where you need to go. Type in the Quick Find box to search for pages in the Setup menu. You can also navigate through the Setup menu and find Setup tools based on logical categories. If you’re looking for standard and custom objects, you can find those in the Object Manager (5). The most recently used list (4) shows your most recently used records or customization features in setup. You can quickly link back to what you were working on with a single click. 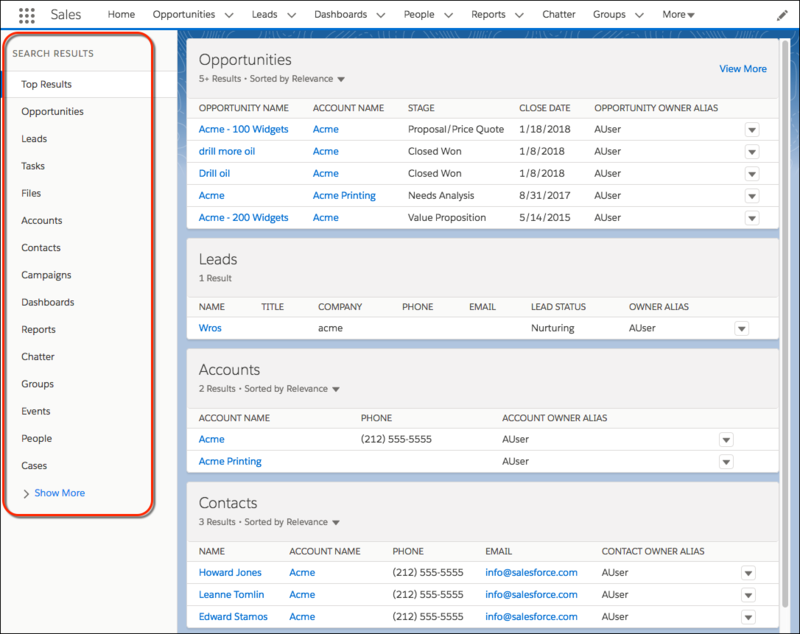 You’ve got a ton of useful data in Salesforce. How do you get to what you need, when you need it? Let’s face it, no one has time to browse anymore. It’s all about search. 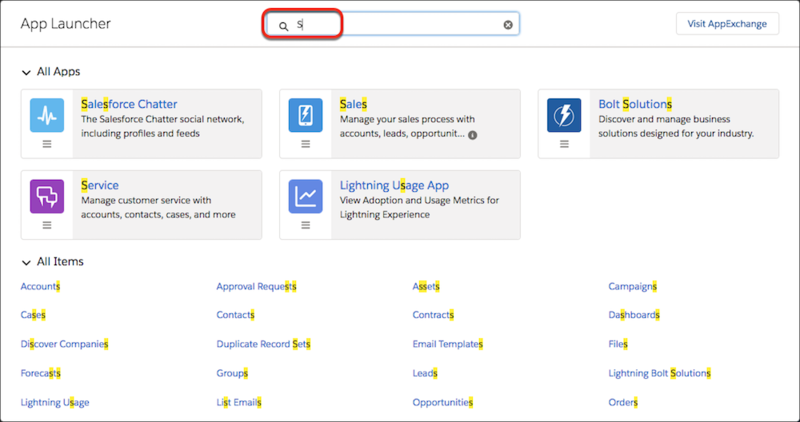 So let us introduce you to the Lightning Experience global search box. It’s at the top of every page, and it’s the fastest way to bring what you need right to your fingertips. Think of search as your personal assistant—your very smart personal assistant. It anticipates your needs and helps you find what you’re looking for from anywhere in the app. As soon as you click into the box, search starts working for you. A list of recent items provides quick links to records you’ve recently visited. Start typing, and the list dynamically updates with matches from all searchable objects. If you see what you’re looking for, select it to go right to the record. Don’t see what you need in the dropdown list? Don’t worry—you’ve got options. To see results only for the object you’re on, select the second option in the instant results dropdown list. 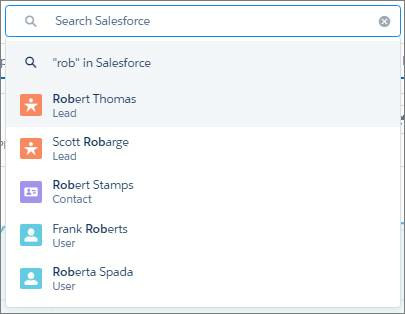 Alternatively, you can select the first option or press Enter to search across your entire organization. You’ll land on the Top Results page, which shows you the most relevant results from your most frequently used objects. 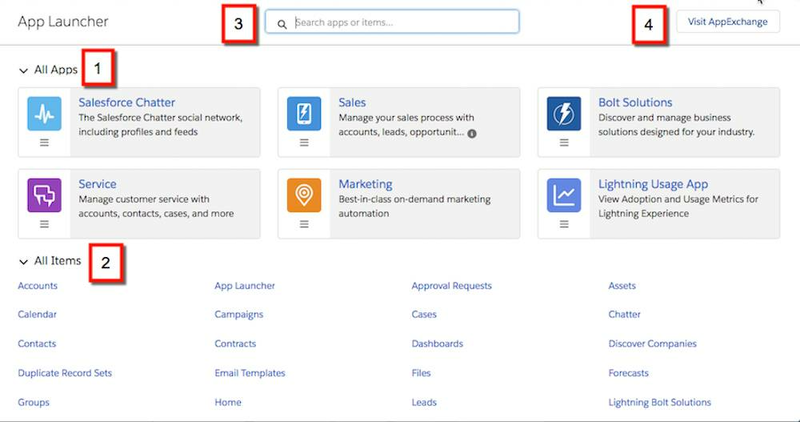 You also get a glimpse of how search helps you find what you need. Features like spelling correction and synonyms return matches that are similar to your search term. You might find one that’s just what you’re looking for. Know which object you want to search? Start typing the name of the object next to the global search box. You can filter the dropdown list (1), or scroll to find what you're looking for. The objects you use most frequently are at the top (2), followed by all searchable objects, listed alphabetically (3). To select a highlighted object, click it or press Enter. As you type your search term, the instant results are limited to the selected object. Press Enter to see full search results for only that object. To remove the filter, change the object to All. From the high-level overview of Top Results, it’s easy to zoom in on what you need. 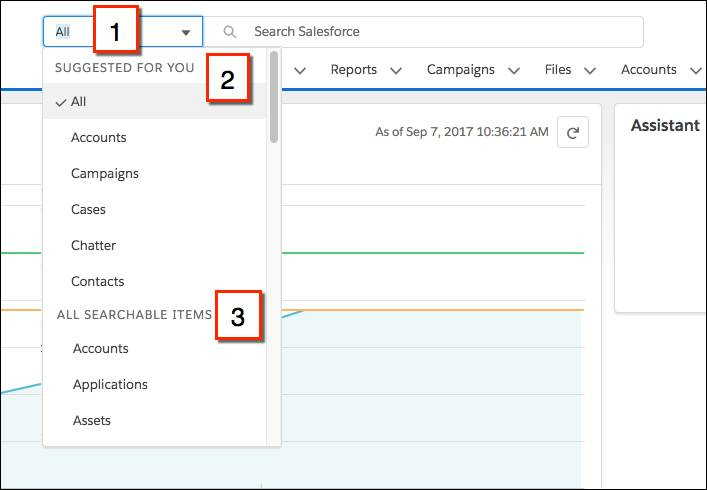 See results for a specific object by selecting it on the left, under Search Results. If you don’t see an object that you need under Search Results, don’t worry, it’s close at hand. Select Show More to see all objects available to you, listed in alphabetical order. 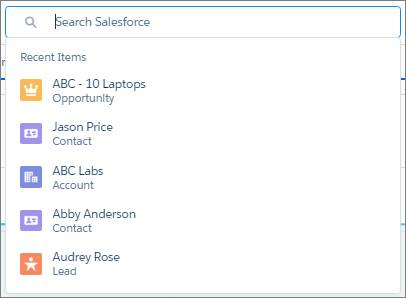 You can filter search results for accounts, cases, contacts, dashboards, files, Knowledge articles, leads, notes, opportunities, people, and tasks, and for custom objects. To see filtering options, click the object name in the Search Results sidebar. How unique is the search term? How often does the search term appear in a record? Do you own the record you’re searching for? You can also sort search results by clicking column headers or using the sort dropdown menu. You can adjust column widths on the search results page by clicking and dragging the borders in the column header. 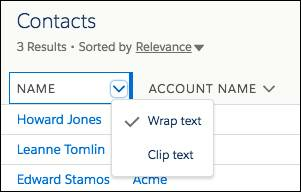 Text wrapping is on by default, but you can change this preference for a column by clicking the down arrow in the column header. If you get too many results, try using more—and more specific—search terms. Check whether the object or field is searchable. Make sure that you have access to the record. Search only returns results you have permission to view. 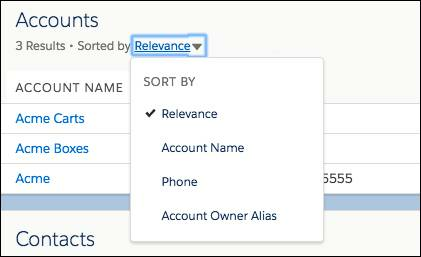 If you recently created or updated the record, wait a few minutes for the record to be indexed. If you can’t find your record after 15 minutes, contact your admin. For more tips, see Search for Records in the Resources section. We think you’ll agree you’ve found the perfect assistant—it has a broad perspective, yet directs you to the important things. It saves you so much time and effort that you'll probably wonder how you'd get your work done without it.